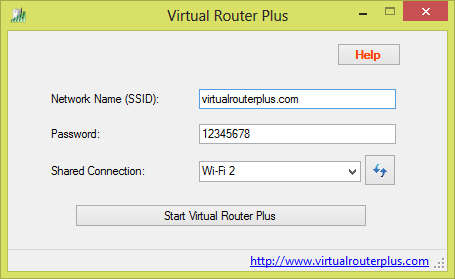 Virtual Router Plus is a handy and reliable application designed to allow you to share your Internet Connection with a WiFi device. Setting up an ad-hoc wireless network in Windows 8 is no longer possible and turning your computer into a Wi-Fi hotspot requires a third party, dedicated application. Any Wi-Fi enabled device detects the newly created network, enabling you to navigate over the Internet using the laptop or the computer as an access point.